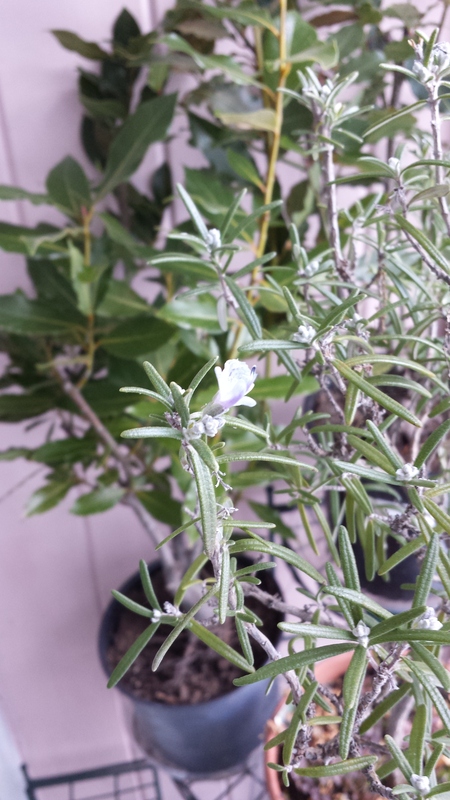 Here’s a rosemary in bloom on my sun porch. It barely gets above freezing out there–and you can see all the little buds on it waiting ot burst into bloom if it just gets a little warmer. But that’s not what’s really amazing. I hiked out to this next photo in snow over my knees. This is a bud on my yellow magnolia (I never remember whether I have ‘Elizabeth’ or ‘Butterflies’). 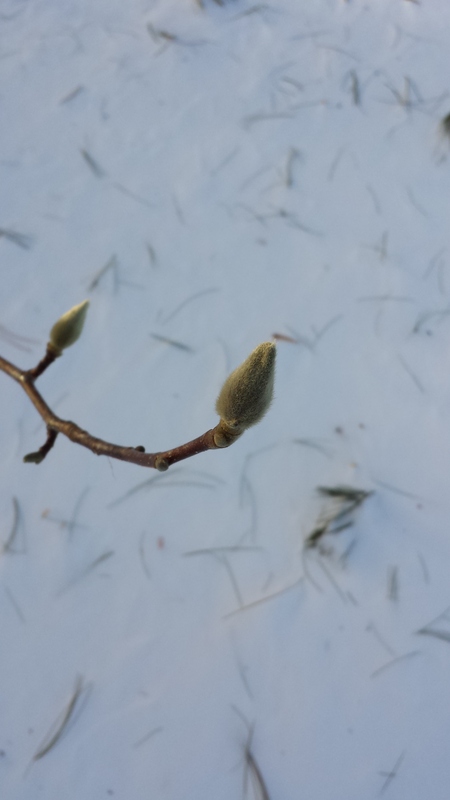 My star magnolia is equally budded up and swelling, but I didn’t want to hike down the icy driveway for a photo. This one is a little tougher to see. Look more toward the middle of this “bundle of sticks.” All along the “sticks” are little swelled areas with some light brown collars around them. This is actually one of my Japanese maples again. 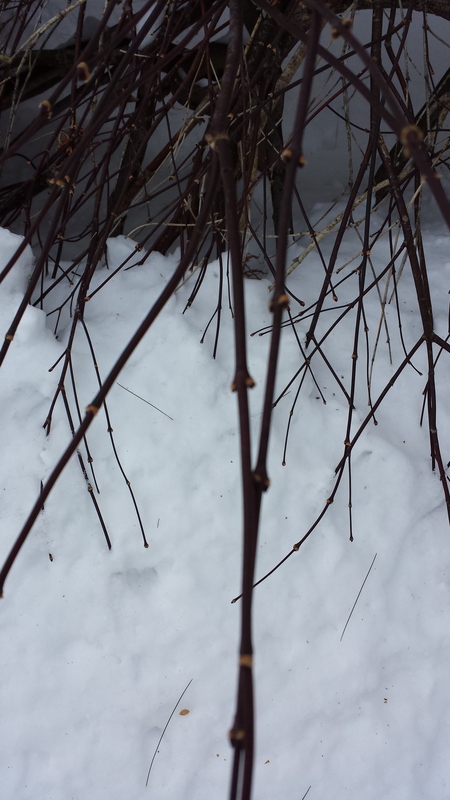 All those little lumps on the branches are the bud unions swelling. That’s where the new leaves will come from. When these trees are buried in up to 3′ or more of snow, it’s just astonishing to see this! Previous Article Success With Seed Sprouting!